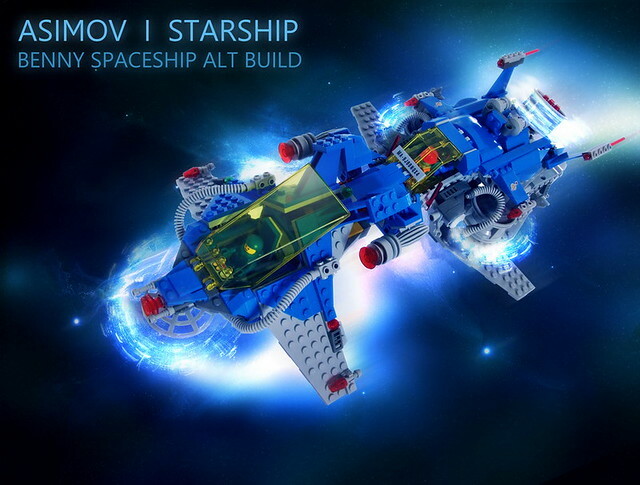 Check out this alt-build for Benny's Spaceship: Asimov I Starship, by Piotr Turecki. The ship has some nifty design features such as a detachable bow module. Plus everybody fits inside (Kitty's in the cargo bay). But what really jumps out is the photo editing-Stunning! I'll have to imagine an effect like that the next time I swoosh one of MY ships around the living room. Awesome!